Cast announced for Carnegie Hall's Historic Concert of THE SOUND OF MUSIC! Carnegie Hall today announced that its one-night-only concert performance of The Sound of Music on Tuesday, April 24 at 8:00 p.m. in Stern Auditorium/Perelman Stage will star Laura Osnes as Maria Rainer. (Laura is our R&H “It Girl” this spring, having played the title role in a reading of R&H’s CINDERELLA last month, and now preparing to star in City Centers’ Encores! production of R&H’s PIPE DREAM for next month.) Co-starring alongside Osnes will be Tony Goldwyn as Captain von Trapp. Additional cast members include Brooke Shields as Elsa Schräder, Patrick Page as Max Detweiler, and Stephanie Blythe as The Mother Abbess. This concert performance of the beloved musical also features Joy Hermalyn as Sister Berthe, Linda Mugleston as Sister Margaretta, Faith Sherman as Sister Sophia, Veanne Cox as Frau Schmidt, and Daniel Truhitte (Rolf Gruber in the film version) as Baron Elberfeld. The roles of the von Trapp children include members of the Brooklyn Youth Chorus: Jake Montagnino as Friedrich, Olivia Knutsen as Louisa, Jacob Sutton as Kurt, Grace Lucket as Brigitta, Natalie Hawkins as Marta, and Charlotte Knutsen as Gretl. Remaining cast members will be announced at a later date. This concert is a gala benefit providing support for the music education and community programs of Carnegie Hall’s Weill Music Institute. Gary Griffin directs the production with Rob Fisher serving as musical director, conducting the Orchestra of St. Luke’s and the Women of the Mansfield University Concert Choir under the direction of Peggy Dettwiler. Production team includes John Lee Beatty (Scenic Consultant), Alan Adelman (Lighting Designer), Joshua Bergasse (Choreographer), Wendall K. Harrington (Video and Projections Designer), Tara Rubin Casting (Casting Consultant), Nevin Steinberg (Sound Designer), and Paul Tazewell (Costume Consultant). Presented with full orchestra, cast, and chorus, this performance of The Sound of Music will bring the world's most popular musical to the stage of Carnegie Hall. With music by Richard Rodgers, lyrics by Oscar Hammerstein II, a libretto by Howard Lindsay & Russel Crouse, adapted by David Ives, and based on Maria Augusta Trapp's autobiography, The Sound of Music tells the timeless story of Maria, Captain von Trapp, and their singing family. The Sound of Music premiered on Broadway in 1959 where it ran for more than 1,400 performances. 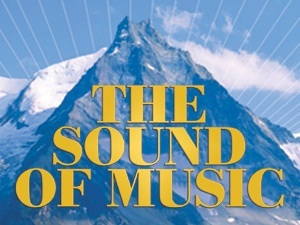 Presented subsequently at New York City Center, New York City Opera, and in a Broadway revival in 1998-99, The Sound of Music marks its first return to New York since then with this Carnegie Hall concert version. 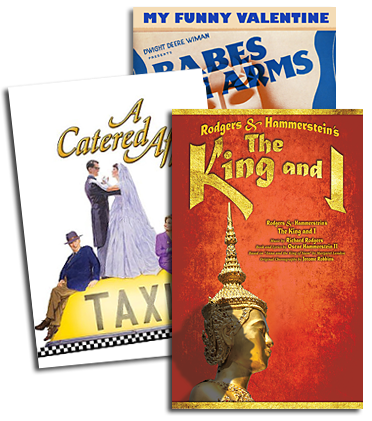 R&H has enjoyed working closely with Carnegie Hall in recent years on concert stagings of our classic musicals, including Rodgers & Hammerstein’s Carousel with Hugh Jackman and Audra McDonald (2002), and South Pacific with Reba McEntire and Brian Stokes Mitchell (2005) as well as Kern and Hammerstein’s Show Boat with Nathan Gunn, Carolee Carmello, Marilyn Horne, and Alvy Powell (2008). The Sound of Music gala event is sponsored by Ernst & Young LLP with corporate chair Stephen R. Howe, Jr. and co-chaired by Susan and Ed Forst, Nelle Nugent and Jolyon Stern, and Dinny and Lester Morse, Jr. Gala guests will enjoy a festive, pre-concert dinner at Remi Restaurant, with Austrian food, wine and theme; the honorary chairs are Anne E. Crouse, Mary Rodgers Guettel, Alice Hammerstein Mathias, Johannes von Trapp, and Ernst-Peter Brezovsky, Austria's Consul General. Gala benefit tickets are available by calling Carnegie Hall’s Special Events office at 212-903-9679 or online at carnegiehall.org/thesoundofmusic. Tickets begin at $1500. A limited number of premium (concert-only) tickets, priced $55–$200, are currently available at the Carnegie Hall Box Office, by calling CarnegieCharge at 212-247-7800, or online at carnegiehall.org/thesoundofmusic. A portion of all premium tickets is a tax-deductible contribution. I would love to know if this will utilize the complete *original* stage score and orchestrations. This sounds terrific, but I have no need to see another attempt at shoehorning "I Have Confidence" and "Something Good" into a stage/concert production; nor do I want to lose "My Favorite Things" as an important bonding number between Maria and the Mother Abbess, nor the clever use of yodeling in "The Lonely Goatherd" to drown out the thunder during the storm scene. I know that people would rather hear the ORIGINAL 1959 stage score, but I myself would be happy if this performance included My Favourite Things in the thunderstorm scene. Please don't misunderstand me, I know that the script of the stage musical demonstrates the exemplary craftsmanship of the talents of Lindsay, Crouse, Rodgers & Hammerstein but I'm sure that they would have shifted that song to the thunderstorm scene had they more time to revise the musical. And even though I'm used to the film I keep thinking that I Have Confidence and Something Good can fit so well into the stage score. And I know that Rodgers himself didn't consider the song An Ordinary Couple to be his finest hour. One question though, please could I know if there will be a CD and DVD recording of the concert like there was with the McEntire version of South Pacific in 2005?